I'm sure you all remember, yesterday I did a review of the BARBAR Eco 8000 Professional Eco Friendly Blow Dryer. Well, I sent an email over, and I got the ok to do a giveaway as well, yay! And don't forget! If you hurry, you can take advantage of BARBAR's amazing sale! If you head over right now and use the code "Blog4fun" you can save 50% on your entire order, wow! 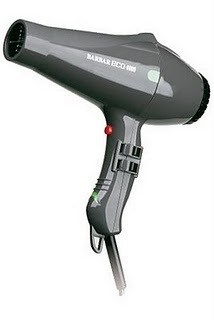 1 of you will receive an amazing BARBAR Eco 8000 Professional Eco Friendly Blow Dryer! Mandatory entry: Visit the BARBAR website and let me know an item (other then the Eco 8000) that you would love to have! ﻿Disclosure: Review product was provided to me free of charge to ensure and honest review. All opinions expressed are my own, and were not influenced in any way. Only 1 entry PER HOUSEHOLD. Be sure to leave your email address in each comment. I would love the BARBAR 2000 Titanium Ionic Curling Iron, 1-1/4"
WOW...I cant even imagine owning such quality hair tools, but they have so much more! 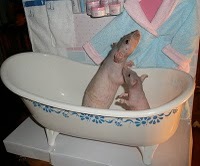 I cut my own hubby's and son's hair so I'd love a new clipper instead of the cheapy one we have from a certain drugstore. THIS one looks like it might not PULL hair out when you try to cut it! its the Barbar pro 180. I LIKE (friend) you on FAcebook! I also entered your Kakadu pet jacket giveaway! so sorry to mess up your count Amanda...Please feel free to delete my mess. I need to read more carefully on the extras for entering your other giveaways. Yikes! Hmmm...got any reading glasses reviews coming up anytime soon? I would love to have the BARBAR 2200 Titanium-Ionic Flat Iron 1"! I would love the BARBAR 1900 Tourmaline Cordless. I like you on FB - Cari S.
I entered the e-reader giveaway. I would love to have the BARBAR 1800 Ceramic Cordless Flat Iron 1"! I entered your frito lays giveaway. Flat iron would be great! or my email is on my blog. I voted for Luis N Lana! Voted for Luis & Lana! voted for lil luis and lana! I would love to have the BARBAR 1800 Ceramic Cordless Flat Iron 1"
voted for Luis n Lana! I'd also like to have the BARBAR 1700 Titanium Ionic Straight Curler 1/2"
I just voted for today! I'd love to play around with the BARBAR 1700 Titanium Ionic Straight Curler 1/2"! Visited the BARBAR website and would also love to have the BARBAR 2300 Titanium-Ionic Flat Iron 1-1/2". voted today for Luis & Lana! I also like their 2000 Titanium Ionic Curling Iron with the 1-1/4" barrel.